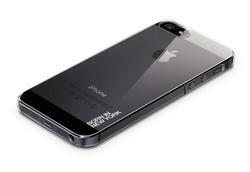 Don’t want a protective case to mask gorgeous design of iPhone 5? Take a look at id America’s Ice/Dry Ice iPhone 5 case, it should be able to meet your requirements.This is a solid, 2-piece protective case designed for iPhone 5. As we can see from the images, the iPhone 5 case features transparent or semi transparent design so you won’t worry the iPhone 5 case is upstaged by the protective case. And the iPhone 5 case features 2-piece front and back construction, and is made of strengthened polycarbonate in order to fully protect your iPhone 5 from bumps and scratches, while the soft rubber coating offers you a comfortable and secure grip experience. 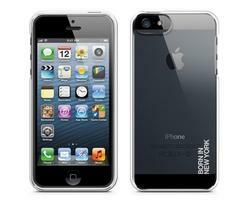 Apart from that, the custom cutouts allow you access to all buttons and functions of your iPhone 5.